The body of Fr. 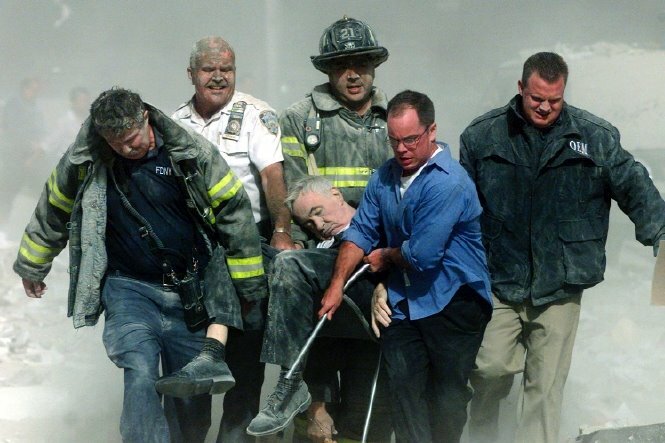 Mychal Judge, Chaplain of the Fire Department of New York, is carried from the chaos of Ground Zero on 9/11 [photo by Shannon Stapleton of Reuters]. New York, New York – September 11, 2001 is being recalled across the world today. On this 11th anniversary of the attacks on the World Trade Towers in New York City, the Pentagon in Washington, D.C., and the thwarted attack on the U.S. Capitol thanks to the heroic action of the passengers aboard United Flight 93 are remembered by a somber and far less naïve nation than the one which awoke to the horror of 9/11. 2,996 people died on that awful day, including the 19 men who hijacked four airliners, and 2,977 victims. Among the victims were the 246 passengers aboard the planes. 2,606 died in the Twin Towers. 125 died in the Pentagon. The vast majority of victims were civilians. At the Pentagon, 55 of the fallen were military personnel. Of the heroic acts on 9/11, none were greater than the sacrifices made by the first responders. The Fire Department of New York (FDNY) lost 343 personnel that day. 75 firehouses suffered the loss of at least one member of their team. FDNY also lost its chief, its commissioner, its marshal, its chaplain, and many specialty and administrative personnel. Collateral losses of first responders due to illness and injury sustained on 9/11 continue to this day. Unfinished Lives salutes the fallen of 9/11 by choosing one among them all to serve as their representative: Fr. Mychal F. Judge, OFM, Chaplain of FDNY, who died offering comfort and assistance to the dying and wounded in the lobby of the North Tower of the World Trade Center. Witnesses testify that Fr. Mychal died when debris from the falling South Tower rocketed into the North Tower Lobby with a velocity of over 100 mph. The medical examiner certified that Fr. Mychal succumbed to blunt force trauma to the back of his head. His victim number is 0001, acknowledging that his body was the first to be recovered and carried from the scene. Among the unforgettable scenes of that awful day, the image of Fr. Mychal’s lifeless body being borne away by his comrades, a modern day Pietà, is a stand out. 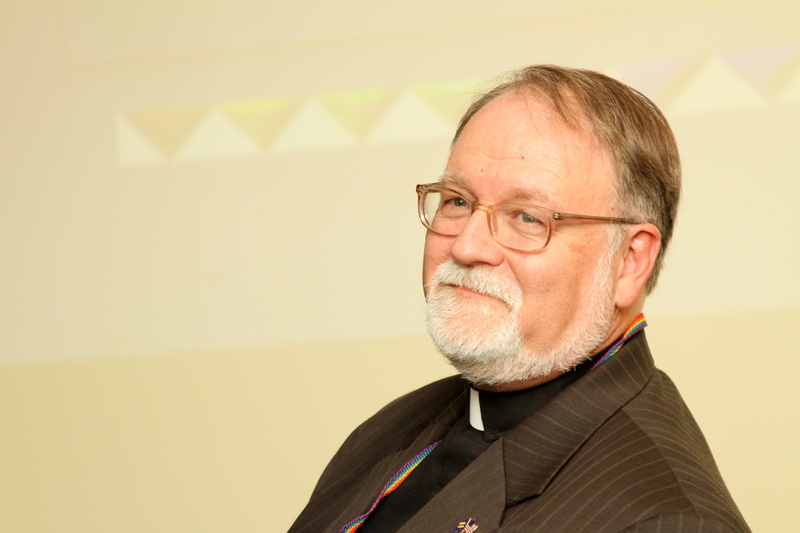 He was an exemplary man, a dedicated priest, and, among other dimensions of his life, a gay man unafraid to own who he was among his colleagues and before the world. Amidst the terror and the death of 9/11, the courage, loyalty and love of Fr. Mychal stands for the suffering and hope of all the fallen and their families. Much has changed since the trauma of that day, but the wounds to the American consciousness remain fresh. May we never forget. May we honor the dead by rededicating ourselves to improve the circumstances of the living, even as we strive to create a better world.